PowerBlock Sport 90 EXP Adjustable Dumbbell - 16 Dumbbells In 1! The New PowerBlock Sport 90 EXP Adjustable Dumbbell – 16 Dumbbells In 1! The New PowerBlock Sport 90 EXP adjustable dumbbells are here and in stock in our online store. Save space at home or in the gym with the latest version of these revolutionary dumbbells that comes as a set of two dumbbells with add on kits to expand them also available. If you haven’t heard of PowerBlock then watch the video below and read on to find out more. 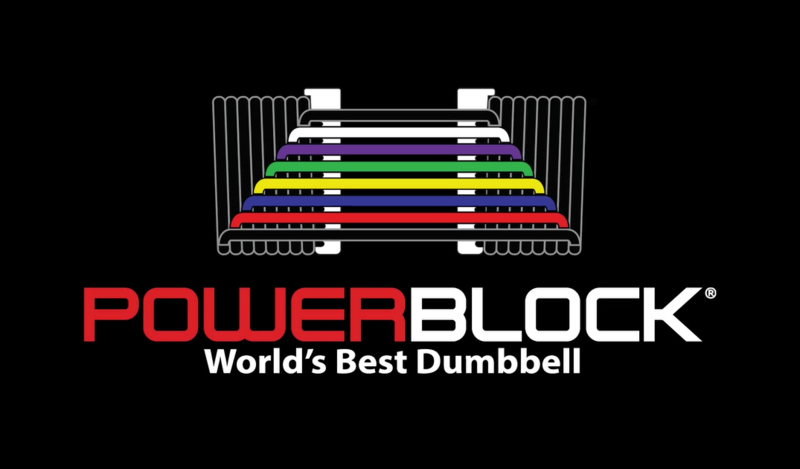 And if you have heard of PowerBlock, then still watch the video and read on to discover more about this new line and how it combines 16 dumbbells in 1! Get Your New PowerBlock Here! It’s hard to argue with their claim to be the world’s best dumbbell. The sheer versatility and practicality on offer speaks for itself, as does the space-saving. We all know that there are certain dumbbell exercises you can do easier than others, and ones you can perform with a heigher weight. But instead of limiting yourself to a few dumbbells and struggling on certain exercises, or alternatively buying a full range of dumbbells that requires lots of space at home which you may not have, the PowerBlock lets you maximise your sessions and results by solving this dilemna. Plus you can add on extra weight, great as you get fitter and stronger, via the Stage 2 Add On Kit and the Stage 3 Add On Kit. These new PowerBlock dumbbells have a flexible pin that makes securing the selected weight much easier, smoother and quieter. Each dumbell can be set from 2kg to 22.5kg, which is 4.4lbs-49.6lbs, giving you an excellent range of weights. No matter if you’re starting out on strength training or are a more seasoned lifter, these dumbbells are sure to suit. And with an open handle design, it couldn’t be easier to pick them up and put them down after use. The dumbbells are ideal for all upper body weight workouts and for incorporating into total body drills. Whether you want to concentrate on specific muscle groups, tone your whole upper body or use the dumbbells to perform full-body exercises such as when using a stepper, you have full freedom and full control over the weights with these great fitness tools. Buy Your PowerBlock Dumbbells Now!